Lightbox Interpretations [ Interazione / Gegenschein ] → Please inquire about availability. 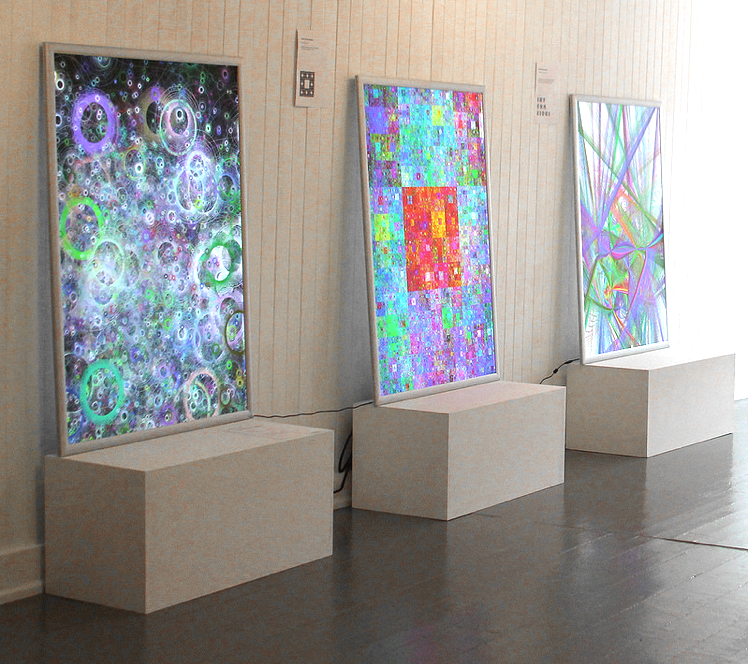 These lighbox interpretations of David Victor Feldman's art represent only a small sampling of the artist's oeuvre. Available exclusively from Point.B Studio. 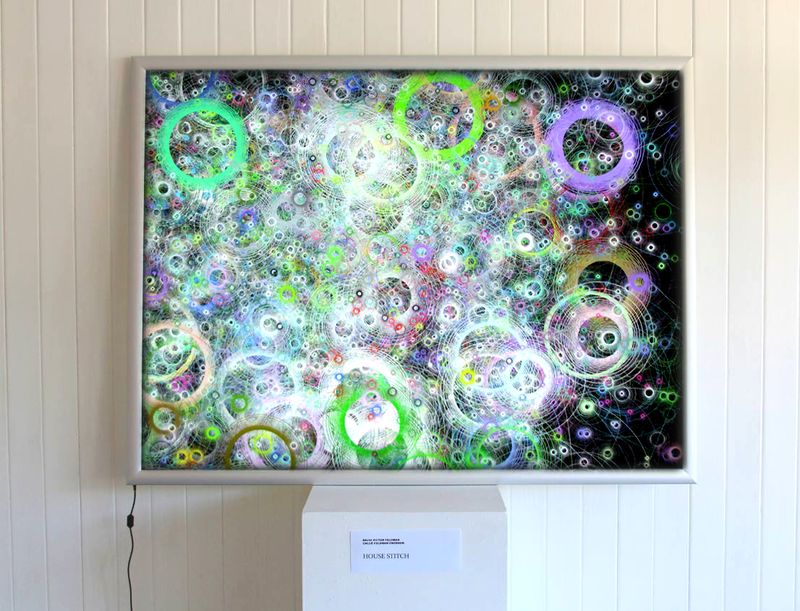 The artist renders the code with an interpreter that creates a high resolution animation during the rendering process which is art in and of itself. David Victor Feldman is an Associate Professor of Mathematics at the University of New Hampshire. 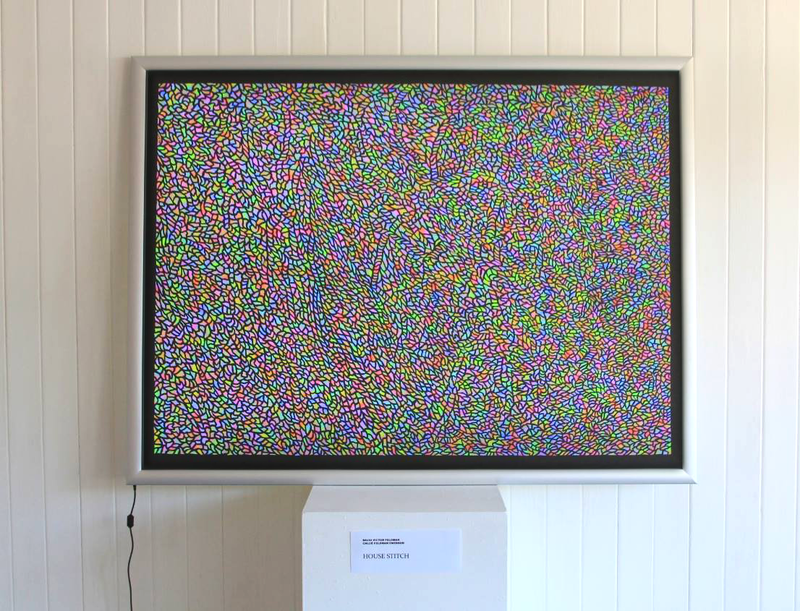 David codes his works directly in Postscript, which is a computer page description language capable of creating high-resolution vector graphics that can be scaled to any size. While the visual effects are very dramatic the code is quite elegant and efficient. 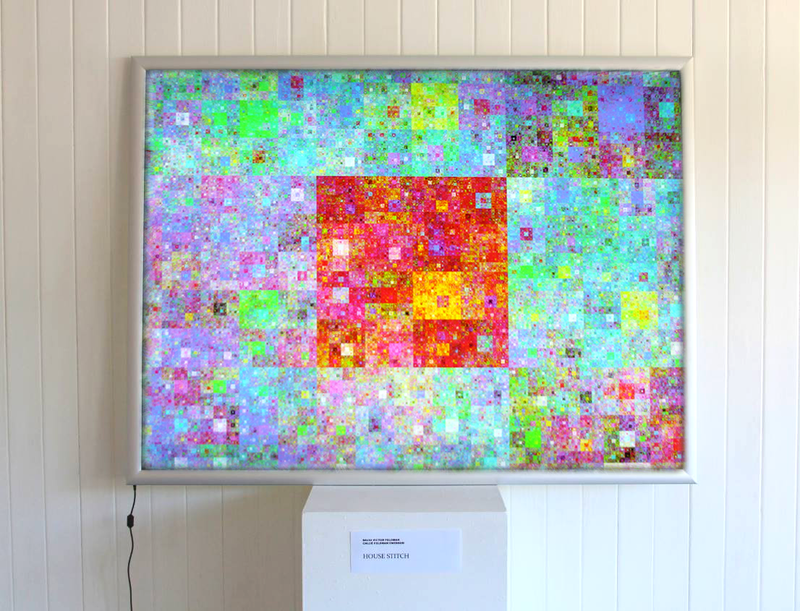 Only a very few lines of code can produce highly complex images. Changing one parameter in the code can alter an image dramatically. 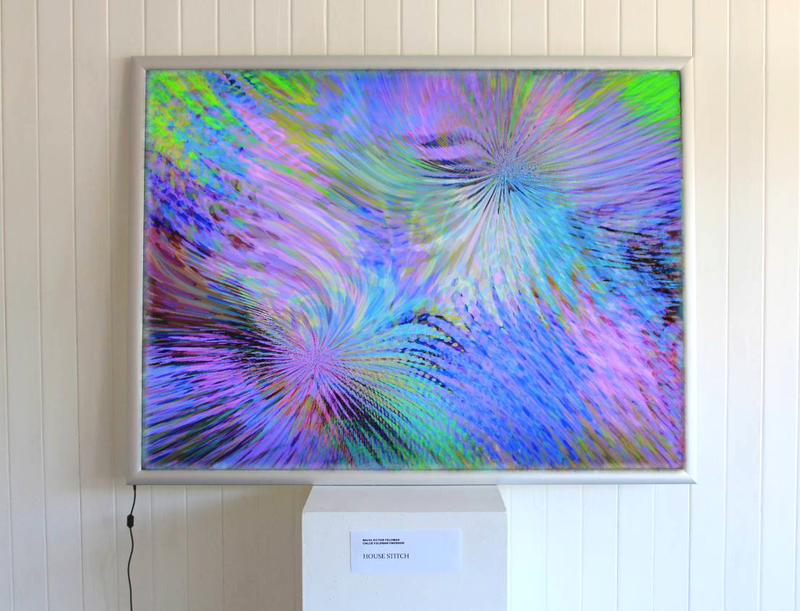 All lighbox interpretations in the "Postscript Poetry" series are one-of-a-kind renditions, imaged at true high resolution to 8mil backlit film using archival pigmented inks. 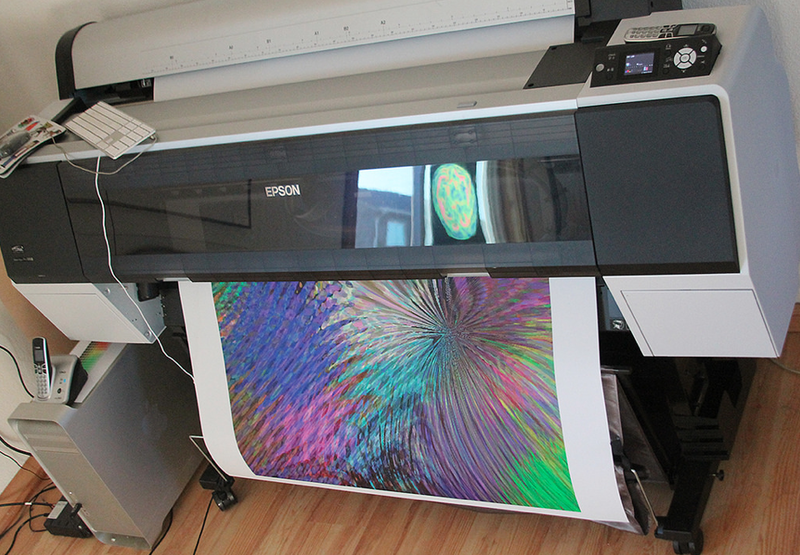 The art is then placed in an environmentally friendly LED lightbox with an estimated 50K hour bulb life at 2000 lumens. 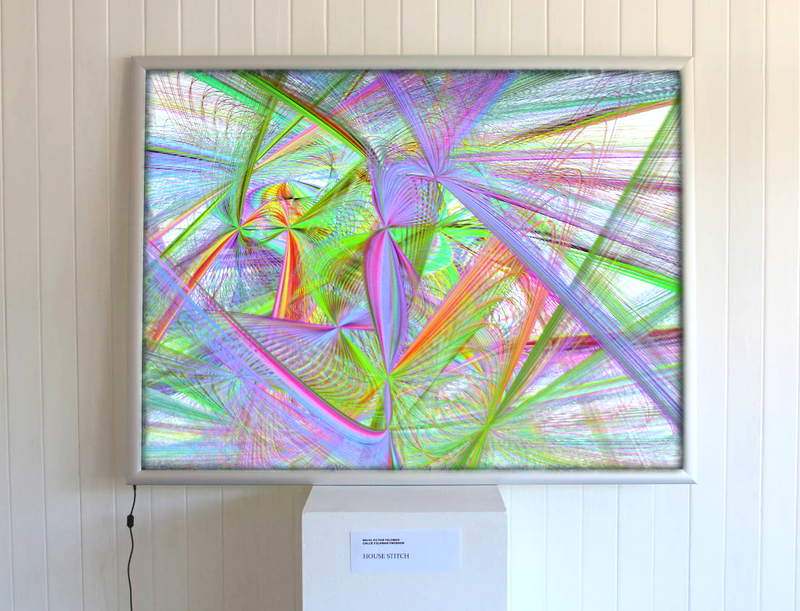 Art can readily be interchanged in a single lightbox and we encourage collecting more than one of David's creations. Each work is accompanied by a signed card by the artist. Please inquire about availability.